Edited by Destroyer History Foundation from Naval History & Heritage Command photo NH 01380. 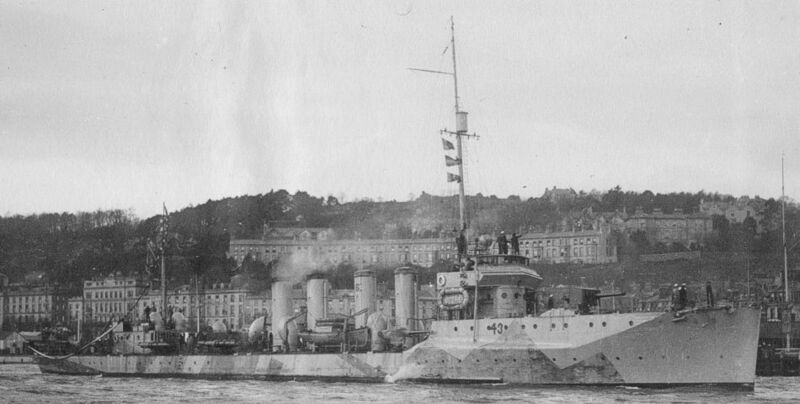 Cassin, Torpedo Boat Destroyer No. 43 at Queenstown, Ireland.